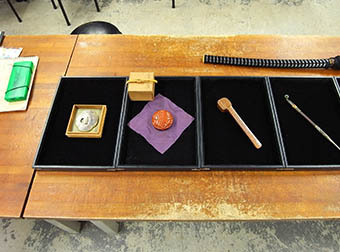 The NPO Japan Mokumegane Research Institute conducts the study and the preservation of Mokume-Gane as well as the various relevant traditional techniques and cultural heritage. 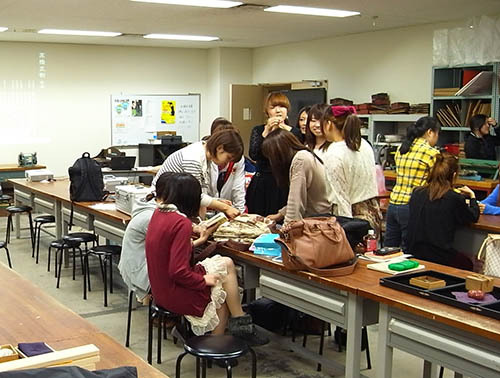 JMRI run a mokume-gane lecture for stuents of Bunka Gakuen University on 16th December 2012. Mokume-gane objects made on Edo era attached the students by their highly skilled- smithed technique and their beauty.